This has been a year of change and growth. It has been an honor for me to assume the role of Acting President, and to realize how much has been accomplished in a short time, due to the generosity of the people recognized in this report. 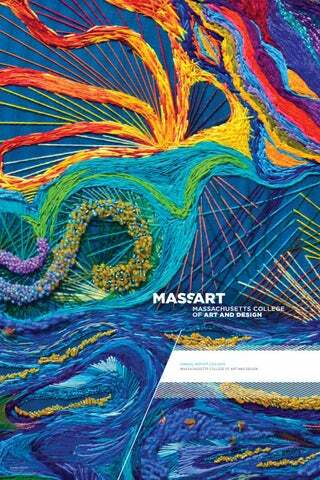 At 141 years of age, MassArt has consistently embraced change as a cornerstone of its existence. The same radical notions that created the first public college of art and design in the nation are embedded in all that we do today. Innovation, creativity, and excellence remain the hallmarks of this remarkable community, and they make us uniquely poised to focus on our core mission of providing a world-class education at an affordable price. an art and design education. It has provided financial support for countless MassArt students to visit places as diverse as Vietnam, Nepal, Cuba and Turkey. These transformational travel scholarships allow our students, many of whom have never traveled outside of the United States, to be inspired by artists a world away. The impact on their art is profound. Philanthropy has expanded the number of scholarships available to MassArt students, allowing the college to educate artists, designers, and art educators regardless of their ability to pay. Private philanthropy has helped bring visiting artists, including Oded Ezer from Israel, Wangechi Mutu, originally from Kenya, and Cuban printmakers Janette Brossard and Norberto Marrero Pirez to campus, enriching our community with their presence and their ideas. MassArt is moving forward with a new five-year strategic plan that reflects the input of our larger community. We are eager to create our future with the same fearlessness that has sustained this community for 141 years. The college is undergoing a physical transformation that reflects our vibrancy. As the Treehouse residence hall continues to win architectural awards long after its completion, the Design and Media Center is becoming a reality. Its dramatic atrium is taking shape in concert with programming designed to enhance collaboration. The end result will ensure that students and faculty benefit from the expertise and cross-pollination of disciplines across MassArt. Versatility, collaboration, innovation and excellence will characterize all programming in the Design and Media Center. VERSATILITY, COLLABORATION, INNOVATION AND EXCELLENCE WILL CHARACTERIZE ALL PROGRAMMING IN THE DESIGN AND MEDIA CENTER. 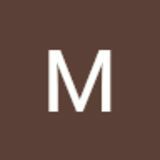 Since 1975, the Massachusetts College of Art and Design Foundation has raised millions of dollars to support the mission of the college. With the continued support of MassArt’s passionate, dedicated donors — many of whom appear on the following pages — we will continue to do so for years to come. Alice and Steven Gonzaga, Sr.
Agatha and Arthur Smith, Jr.
David Lee, Vice Chair Hope Barkan Paul Foster Elisa Hamilton ‘07 Alexander Armand Nally ‘16, Student Trustee Pamela Parisi ‘67 Susan Schechter Richard M. Shea, Jr. John Taylor “Ike” Williams Sam Yin, Ph.D.
Greg Jundanian | CYS Investments, Inc.